Bharat Book Bureau Provides the Trending Market Research Report on “Global Automotive Sensors Market by Application, Size, System, and Region - Forecast to 2017-2021 under Heavy Industry Category. The report offers a collection of superior market research, market analysis, competitive intelligence and Market reports. 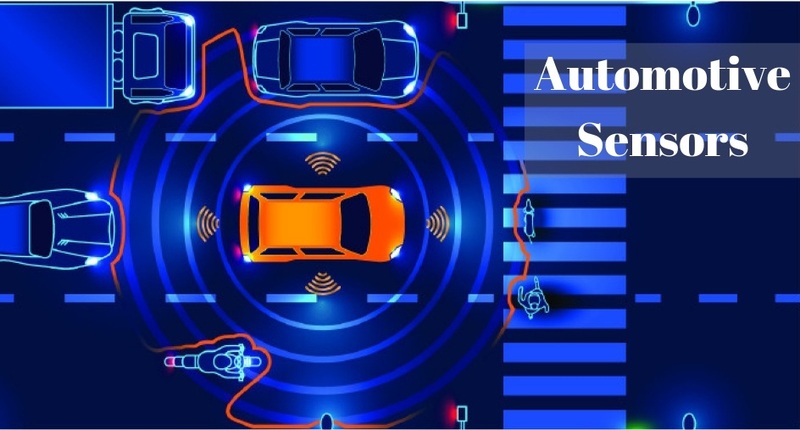 The overall demand for automotive sensors is significantly growing owing to factors such as increasing demand for luxury cars and stringent governmental regulations on automobile safety and emissions. Moreover, increased market penetration of sensors such as LiDAR, radar, cameras, and ultrasonic is a major factor responsible for enhancing the global growth of the market. Increase in sales of Electric Vehicles (EVs) is witnessed worldwide owing to its economic, environmental, and energy benefits over conventional fuel vehicles which is expected to boost the market sales. The decline in sensors prices is also encouraging the automotive manufacturers for the development of automotive sensors for different applications in vehicles such as powertrain, chassis, safety and body. The market in terms of volume is estimated to witness growth at a CAGR of 7.6% over the period of 2017 to 2021. The report is a compilation of various segmentations including market breakdown by sensor type, application, vehicle type, and different geographical regions. The report provides a detailed market analysis and forecast with respect to various sensors types in the automotive sensors market which are pressure, temperature, position, speed, level, inertial sensor, and others. On the basis of application, the automotive sensors market is segmented into powertrain, chassis, body, and safety. While highlighting the key driving and restraining forces for this market, the report also provides a detailed study of the different vehicles that are analyzed, which include conventional fuel vehicles (passenger and commercial) and electric vehicles (battery electric vehicle and hybrid electric vehicle). • What is the global automotive sensors market size in terms of volume and value from 2017-2021? • Which is the dominant sensor type by volume and value for automotive sensors market? • What is the revenue generated by the different applications in the global sensors market 2017-2021? • Which application will lead by volume and value in the automotive sensors market by the end of the forecast period? • Which vehicle type in the automotive sensors market is expected to grow the fastest from 2017-2021? • What are the different factors driving the market forward in the forecast period? • What are the major factors challenging the growth of global automotive sensors market? • Which region will lead the global automotive sensors market by the end of the forecast period? The report includes an exhaustive analysis of the geographical split into NAFTA (the U.S, Canada, Mexico), Europe (Germany, the U.K, France, Italy, Others), Asia-Pacific (China, Japan, South Korea, India Others), South America, and Middle East & Africa. Each geographical region analysis details the individual push and pull forces in addition to the key players from that particular region. The report examines the role of the leading market players involved in the industry. The company profiles section includes highlights of significant information about the key companies involved along with their financial positions, key strategies & developmental activities of recent years (2014-2017). Some of the key players are Robert Bosch GmbH (Germany), Continental AG (Germany), Delphi Automotive PLC (U.K), Denso Corporation (Japan), Infineon Technologies AG (Germany), Sensata Technologies, Inc. (U.S), and Analog Devices, Inc. (U.S).